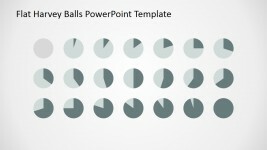 The Office template features Harvey Balls for PowerPoint. 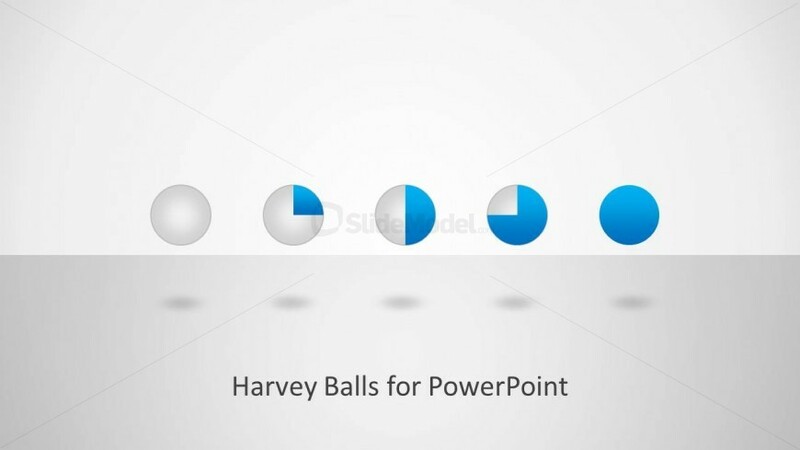 Harvey Balls act in the same way as pie charts. 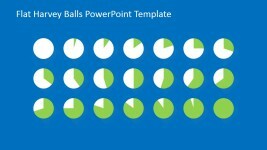 They illustrate a certain degree of completion. They can show rate of completion for projects and plans. 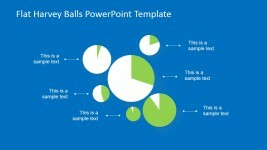 The PowerPoint objects are flexible. 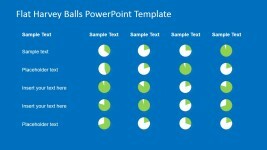 Their color, size, and arrangement can be changed without affecting their image resolution. The slide design is divided into two, to create a horizon. 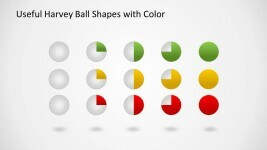 Four Harvey balls are found at the middle of the slide. Shadows on the lower half of the slide create a floating illusion. 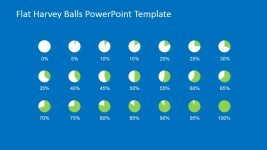 The Harvey balls are highlighted in quadrants, starting with a black chart, to a full one. 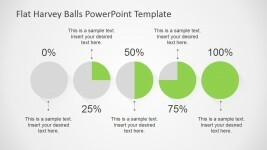 A placeholder at the bottom can be used for the title and description.